Anybody have a profile for HE3D-K200? I've searched Forums,Emails,web searches, cussed out the vendor... still bad prints. So has anybody hooked a HE-3D K200 to octopi? So, to create a profile, you just punch in the data that is asked for. It's quite easy. Is there a step you don't get further? So I assumed you are talking about a OctoPrint profile. Obviously you are seeking a slicer profile. It would be helpful to know what slicer you are using. Already tried the https://forum.repetier.com/ ? Yes. They weren't as HE-3D K200 specific as I needed. I obviously am tripping over something I need to understand better to move forward. I see. For Repetier Host is not a slicer on it's own, it uses an external slicer to do that work. 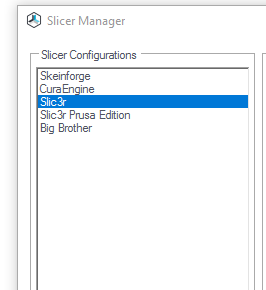 What slicer do you use insider Repetier Host? You find it in the Slicer Manager. It is the Cura engine. Guess: try a different slicer. I get quite different printed object results depending upon the slicer I use, even when using nominally equivalent profiles. I know nothing about the HE3D-K200 except that you say it is a delta printer. The OctoPrint printer profile just requires basic geometry and speeds (for manually moving the print head). 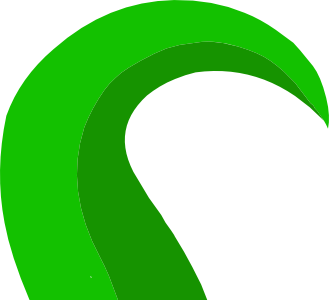 Profile(s) for slicing are going to be more complicated. If the manufacturer doesn't provide a slicer or slicer profiles for a recommended slicer, then I would first look for other delta printers that do provide a slicer or slicer profiles and use that slicer and those profiles as a starting point. Other delta printers may also have community forums that could provide some insight. I googled "3d delta printer calibration" and got what look to be promising results. Wow! This is one of the nicest forums I've been on in 5 years. Many Thanks!